At Your Eyes, LLC, of downtown Seattle, WA, we offer comprehensive vision care services to help people of all ages who want to see their world more clearly. We use the latest computer and laser instruments to ensure the most accurate eye health vision exams and the best possible results. 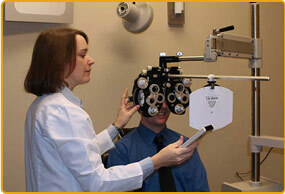 We also offer an optional retinal scan to view the back of the eye as part of your eye health assessment. 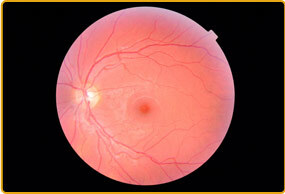 Digital retinal screening is an improved technology in which the doctor can take high-resolution digital photographs of the interior portion of your eye called the retina. 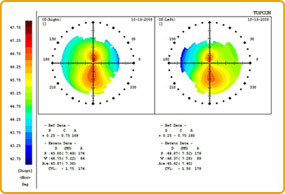 Topography is used to map the shape of the cornea. Dr. Feiten uses this map to determine best contact lens fit, diagnose malformations, such as keratoconus, and assess suitability for laser refractive correction. These are all examples of the new free-form lens technology we offer. Our highly-qualified optician is always available to adjust and fit your glasses to ensure your optimal vision and extended comfort. Our service area includes the Belltown, South Lake Union and downtown Seattle areas of Seattle in King County, WA. To schedule an appointment for our services, please call our office at 206.623.1758 or use our online Request an Appointment form. For additional information on any condition, treatment or procedure, please visit our Health Library.